Aoife O’Donovan headlined a set at Rockwood Music Hall Stage 2 last night. Just as with the set before, I have been hearing about Aoife from my friend Kevin for a very long time now. Unlike the previous set, Kevin is not the only person to tell me that I had to see Aoife. Just yesterday morning I received an email from my friend Jamie in MN telling me that if he were in NYC, he’d be going to see last night’s show. Before telling you why, I will say that I too am now firmly on the Aoife O’Donovan bandwagon. If you consider me a friend (as I do Kevin and Jamie), then you can mark today as the day I started bugging you to get to an Aoife show! I had to say that first, because undoubtedly, I will never do justice to how I felt watching the set, so I’m asking you to trust me and experience it for yourself, rather than judge my words to decide whether you think you’ll like it. Onward. 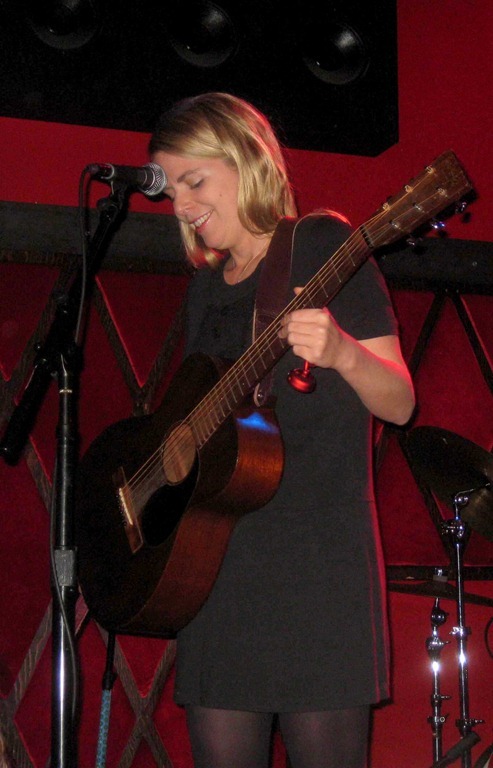 Aoife O’Donovan has a gorgeous voice. At least in last night’s set, it fell squarely in the camp of singers like Alison Krauss and Ruth Moody (two of my favorites). In other words, there’s an ethereal quality to their voices, and it tends to sound a bit soprano, even when it’s not. She is a superb songwriter, lyrics and melodies. In fact, one of the songs she wrote, Lay My Burden Down, was covered by Alison Krauss and Union Station on their latest CD, Paper Airplane. Alison’s version is so faithful to Aoife’s, it’s another compliment to Aoife’s skill that her arrangement didn’t need to be embellished. She is in a group called Crooked Still (which is how I first heard about her) that is currently on hiatus (giving her time to perform her own music and tour with others). 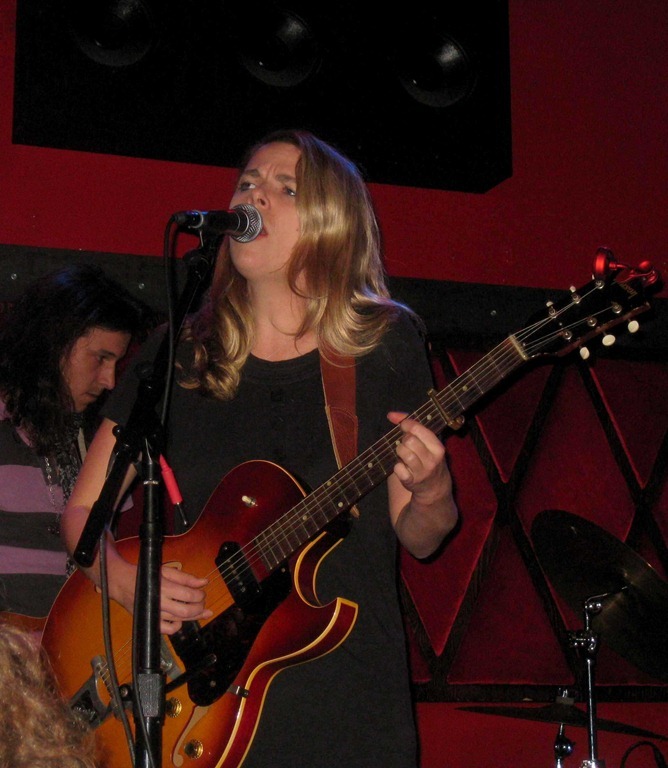 In addition to performing her own music, she has performed with Goat Rodeo Sessions. That project features Yo-Yo Ma, Chris Thile, Edgar Meyer and Stuart Duncan. 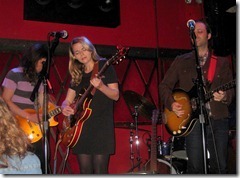 I saw them perform on The Tonight Show with Jay Leno, where Aoife and Chris Thile sang harmony throughout the number. Gorgeous! 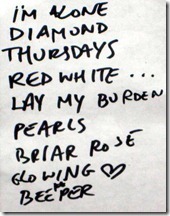 Last night she opened the show finger-picking an electric guitar. She was great, and I was marginally surprised when she announced that it was the first time she’s played the electric guitar in public. 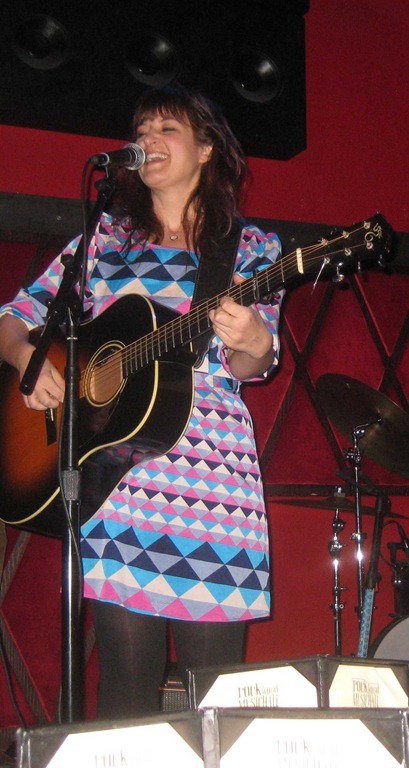 After the second song, she switched to her trusty Martin acoustic, and continued to finger-pick a storm. She returned to the electric late in the set. She’s a very good guitar player. All that’s left is to describe the music itself. It’s a little hard to do in general, but harder without having mentioned the amazing band yet. Still, I’m going to do my best, followed by noting each band member. The overwhelming feel I had was bluegrass and country meet jam band. When Aoife sings, it’s a dream-like bluegrass/country sound (depending on the song), often having very similar qualities to some of Alison Krauss’ best work. When she stops singing and the band takes over (they’re playing incredible stuff even while she’s singing), it turns into a quintessential jam band feel, with everyone showing off their virtuosity, but never straying from the basic structure of the song (like I feel a lot of classic jazz does, but what do I know). To summarize, when Aoife is singing, the lyrics are fantastic, her voice is fantastic and the band behind her is incredible. When she stops singing, the band (including her, still finger-picking) kick it into a gear where you don’t wonder when the singing will start up again, and you (specifically I) could get lost in the music forever. Then she starts singing again, and you welcome that part back with open arms. It’s largely minor-key progressions that they are jamming to, giving it some of the dream-like qualities. 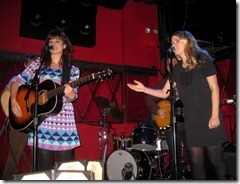 It’s in the music in between the singing that makes Aoife’s music quite different from Alison Krauss’. 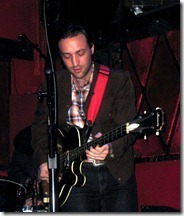 Ryan Scott on electric guitar and vocals. 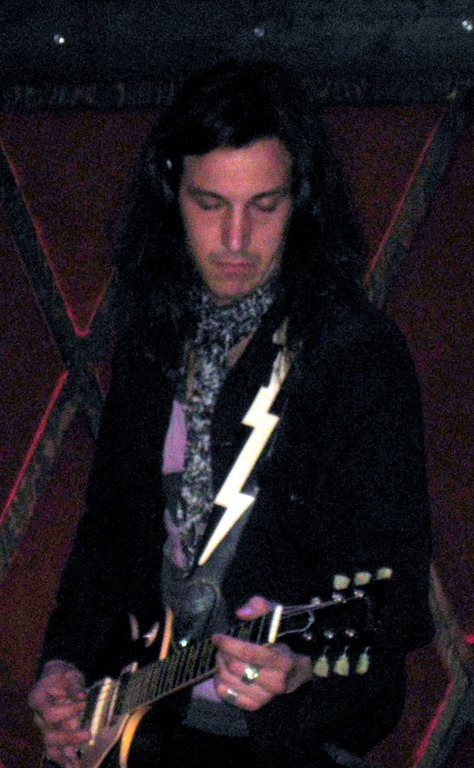 Ryan was extraordinary on the electric guitar. 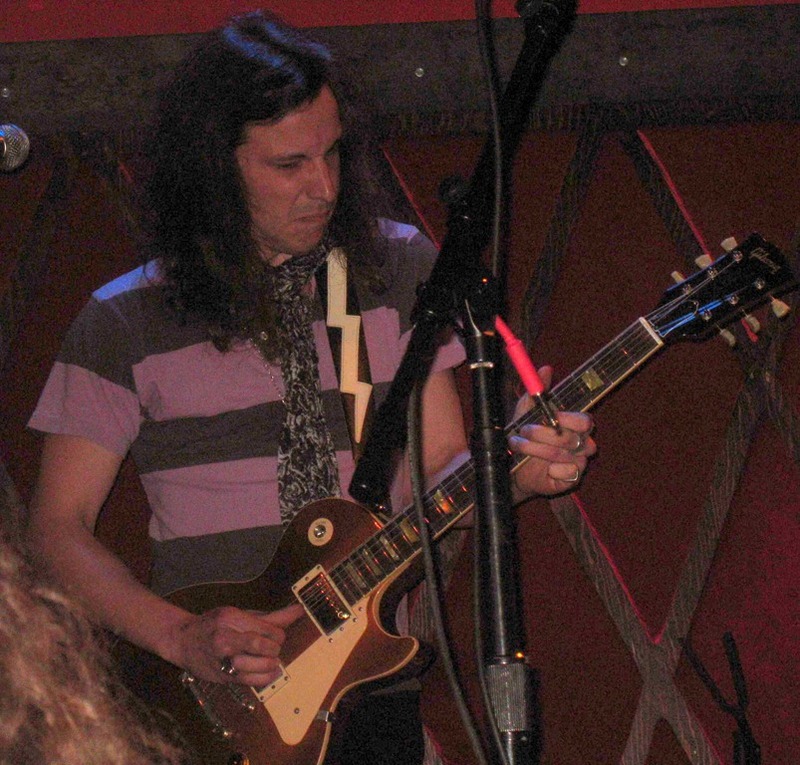 He was a large component of what gave the music the jam band feel, as he’s able to progressively build guitar leads that get fuller and richer with every measure, climbing the scale and getting your heart pumping faster along the way. He sang a bit of harmony (nicely) as well. 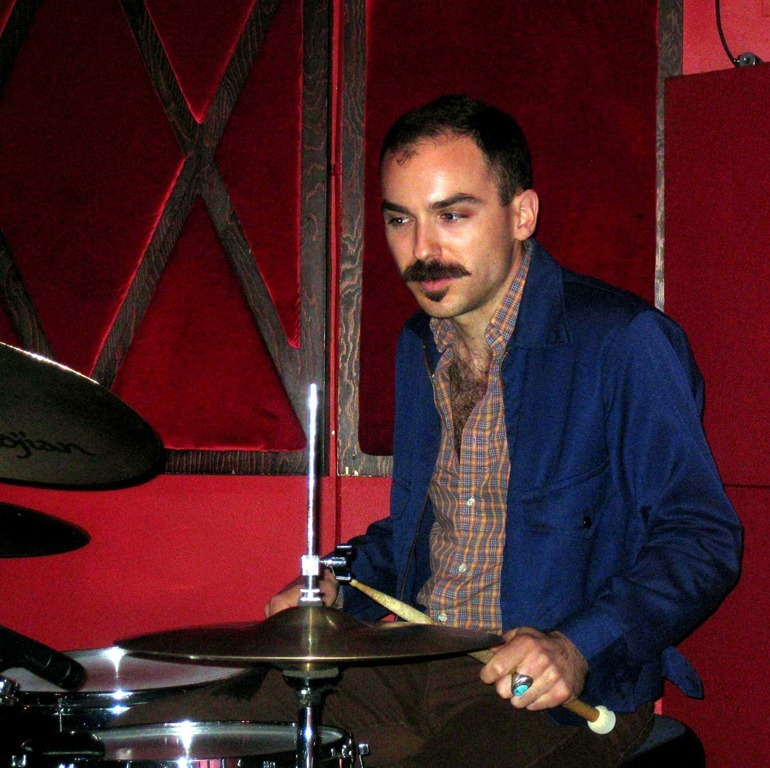 Robin MacMillan on drums. Robin impressed me in the previous set, but he cranked it up a couple of notches here, with the freedom of the jam band feel. Seriously, he fit in perfectly with some very serious musicianship. He’s firmly on my list of drummers to keep seeing. 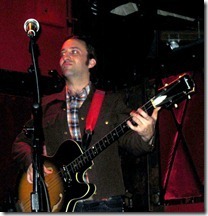 Jacob Silver on electric bass. Jacob (Jake) floored me the previous set, and did nothing but add to that in this set. He’s a mind-bogglingly good bass player, with a sensibility (and the speed) to deliver constant melodies rather than straightforward bass lines (not that there’s anything wrong with straightforward). Not to beat a dead horse, but when you’re jamming, having a bass player who is essentially harmonizing with a top lead guitarist, is a thing to behold. 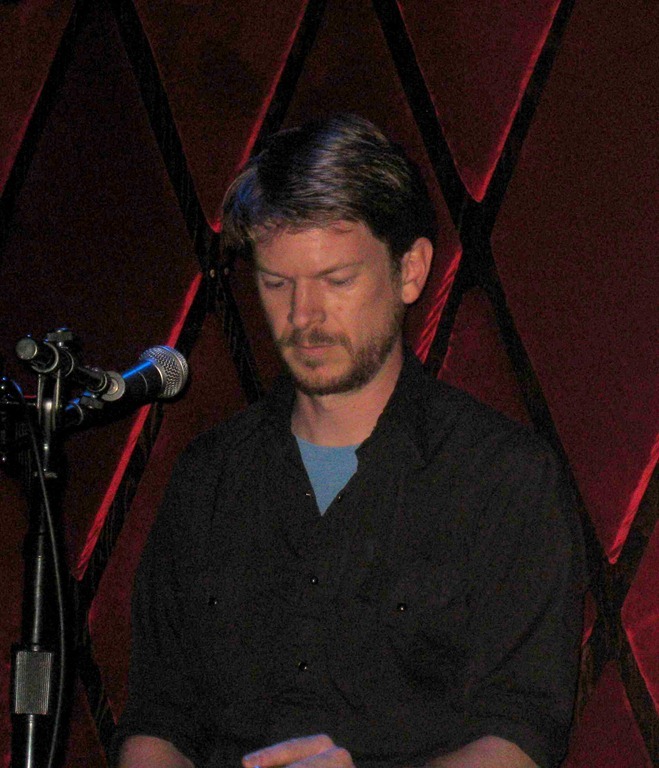 Charlie Rose on pedal steel guitar. 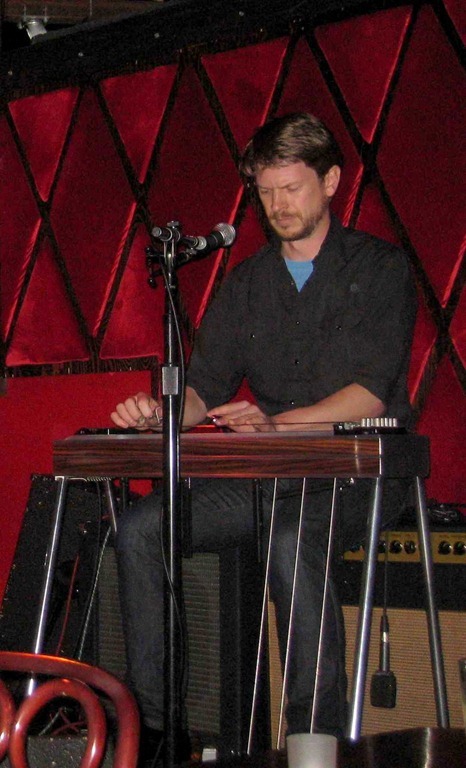 I love pedal steel guitar, and I rarely get to see it. Thank you Charlie for coming down from Boston and giving me more than a taste. 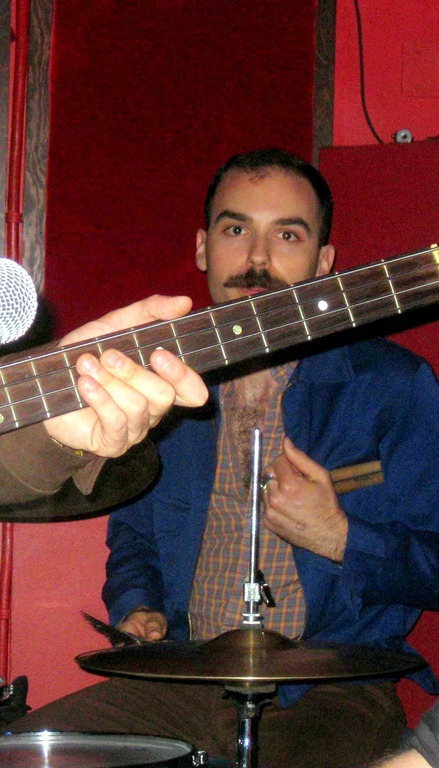 In addition to taking some wonderful leads, Charlie was the glue that gave the band a true bluegrass feel. 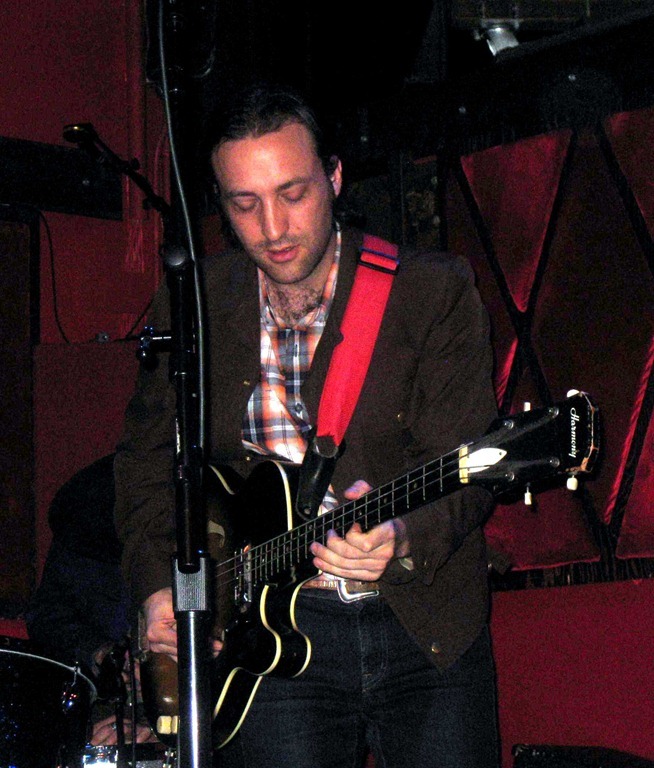 During a number of the jam sessions, he complemented or traded leads with Ryan on the guitar. 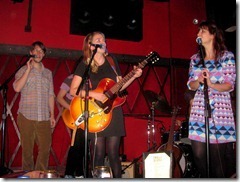 Aoife invited up the headliner from the previous set, along with her guitar player, to sing harmony on one number with her. 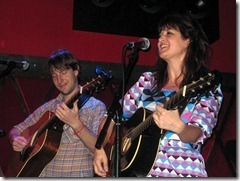 Kristin Andreassen and Chris Eldridge joined for some 3-part harmony goodness. Lovely in every respect. Whew. I was taken by every single number. It’s rare that I don’t want a set to end (even if I love it). I didn’t want this one to end (even though we badly needed to leave when it was over). 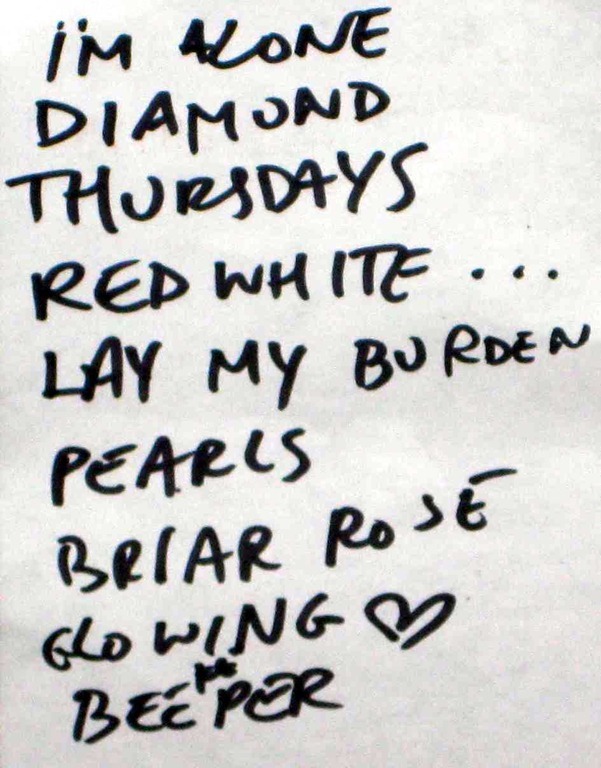 On the way out, I bought Aoife’s 5-song EP, called The Peachstone EP. I absolutely love it, but it’s not identical sounding to the live show, even though all five songs were performed last night, and a few of them have exactly the same musicians on the tracks. One difference is the vocals. On track 1, Glowing Heart, Aoife is singing stunning harmony with herself. On the other hand, there’s not very much of the jam band feel between verses. It’s gorgeous, just much more structured and moving quickly from verse to verse. The jam band feel would have made it more like a live album. 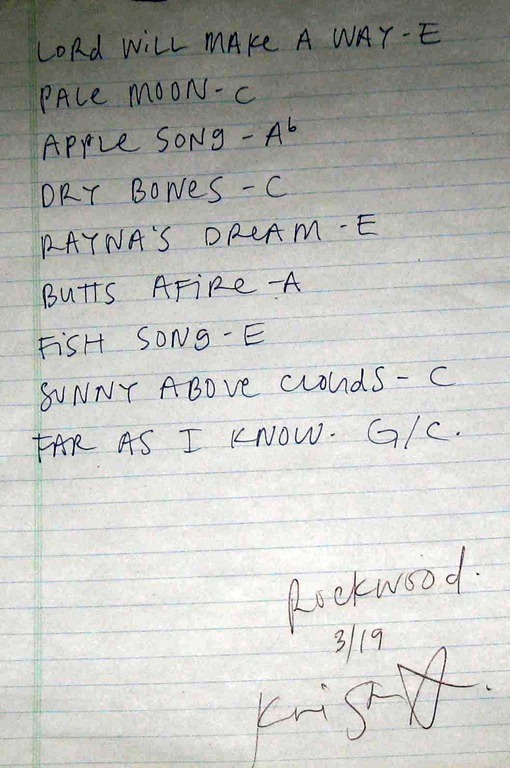 Not to be inconsistent, I’ll call out the fact that it’s quite unusual these days to charge $10 for a 5-song EP. I have no regrets that I purchased it, but since I’ve called out others for this kind of pricing, I think it’s fair to note it here as well. 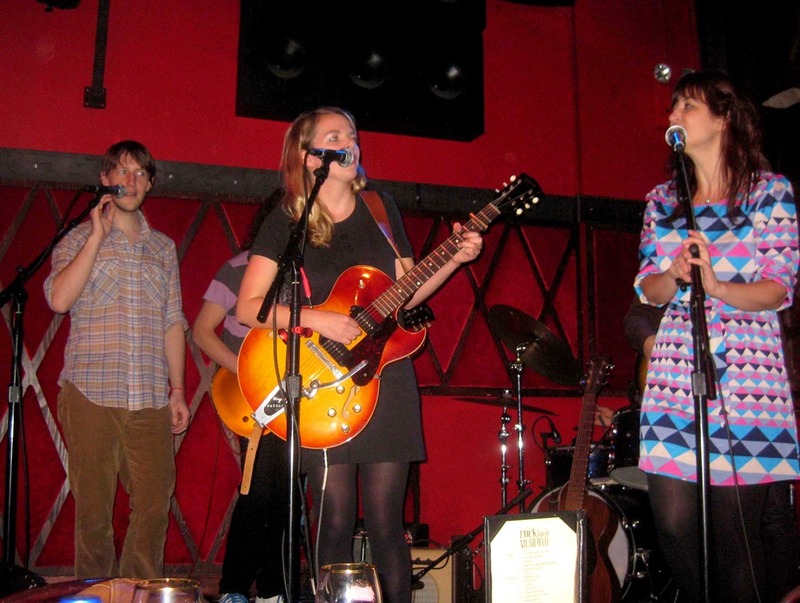 Aoife announced that she’ll be at Joe’s Pub on April 29th (9:30pm show). We will be there too, so should you. 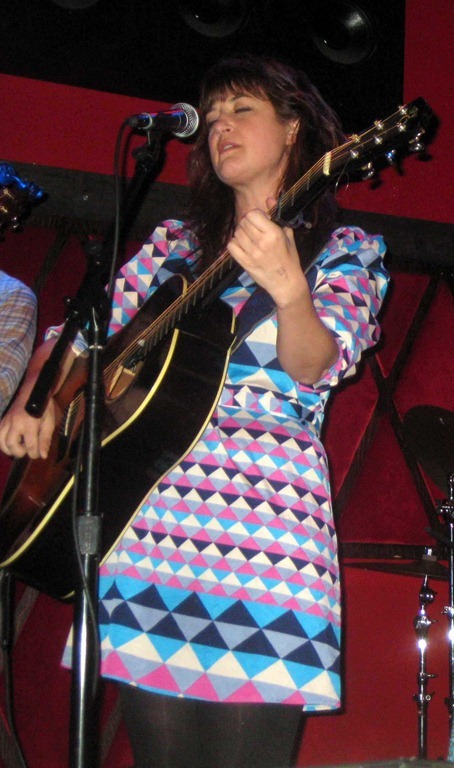 Kristin Andreassen headlined a set at Rockwood Music Hall Stage 2 last night. I’ve heard about Kristin from my friend Kevin for quite a while and was glad to finally make it to a show. 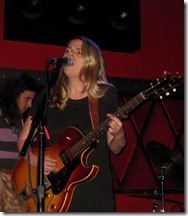 Kristin has a lovely voice and played the acoustic guitar beautifully. I would characterize the set as a blend of bluegrass (without the fiddle or mandolin), traditional country (not today’s rock/pop country) and country gospel. I liked it all, thoroughly. For the most part, Kristin sang very softly. That worked well considering the audience in Rockwood was very respectful. It was particularly suited to the gospel numbers that came across a bit more worshipful in the hushed tones. 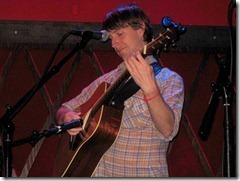 Chris Eldridge on acoustic guitar and vocals. Chris is the guitar player in The Punch Brothers. If you know them, or their fearless leader, Chris Thile, then you already know how good Chris Eldridge is. If you don’t, then take my word for it instead, Chris is exceptional on the guitar and he sings beautifully too. He sang harmony with Kristin on every number (or practically every one). 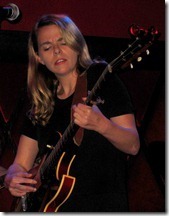 His flat-picking leads were gorgeous and blended well with Kristin’s finger-picking and rhythm guitar. On at least two numbers (the more gospel ones I believe), it was only Kristin and Chris, with the others taking a momentary break. Robin MacMillan on drums. Robin was excellent. The set was mostly on the very mellow, quiet side, so his play supported that appropriately (lots of mallet instead of sticks, hitting cymbals on the rim with the side of the stick, etc.). Very well done. 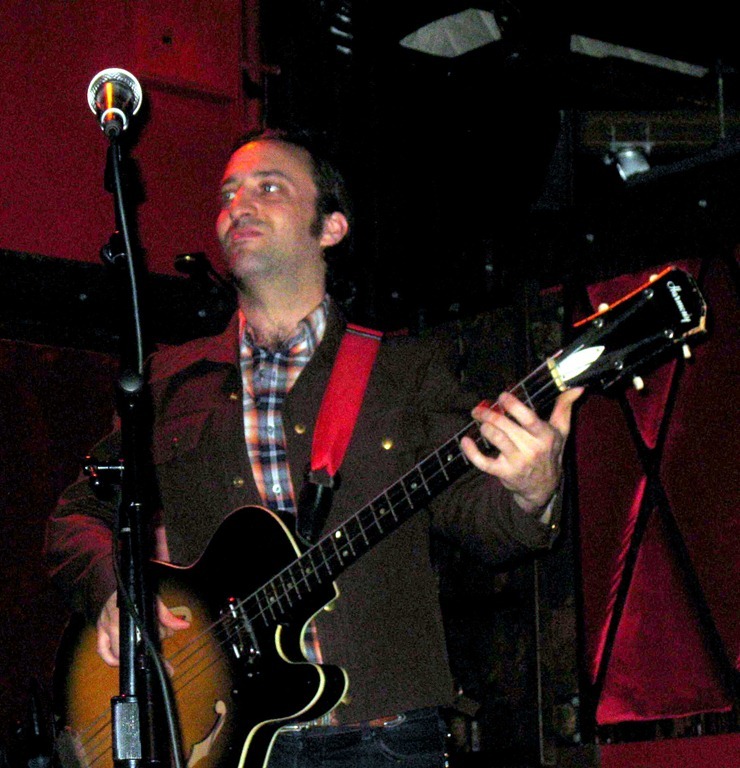 Jacob Silver on electric bass, very light vocals and whistling. He was mostly called Jake, but web-based references are mostly to Jacob. His bass play was amazing. In fact, he rarely played traditional bass lines. 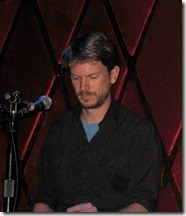 Most of the time he was playing sophisticated (and fast) lines that were more like harmonies to whatever Kristin was singing, or Chris was playing on the acoustic guitar. Outstanding. During the intro to one song, he whistled into the mic, which along with Chris’ guitar play, made the song feel like it belonged in a spaghetti western. He also sang very light harmony on one or two numbers. Kristin played one song she started long ago, but just recently finished. It wasn’t the new song she had originally intended to play, but regardless of how good that one would have been, this one was a huge hit with the crowd. Butts Afire is a story born from cold nights in a house where the only heat was supplied by a wood burning stove that Kristin used to sit on to try and warm up more quickly. The song is about an entire extended family who end up with their butts afire. Fantastic fun, delivered with the appropriate tongue-in-cheek and upbeat quality one would expect from such a song. Kristin was worried about wrapping up early, to give time to the next headliner to set up. In a semi-related issue, she happened to be calling up the next headliner to sing harmony with her on the next number. Aoife O’Donovan sang harmony (gorgeously), along with Chris. I’ll have much more to say about her in my next post, which covers her set. 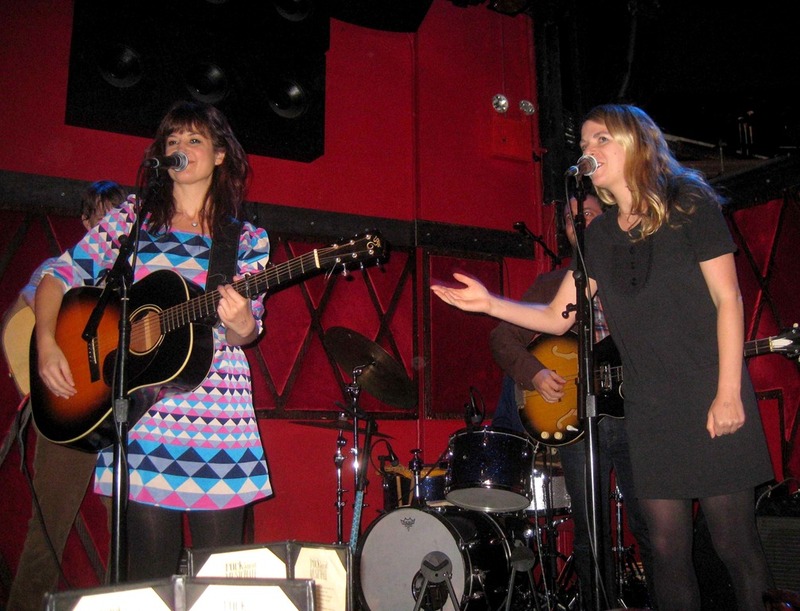 After finishing the song, Aoife encouraged Kristin to do another, and not worry about how much time was left before her set. Very generous! Kristin then called up another guest, who was also slated to appear with Aoife in the next set. 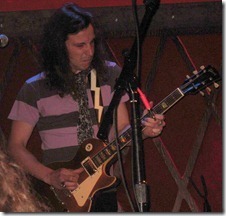 Ryan Scott played electric guitar on the final number. He was great, but like Aoife, more about him in the next post. 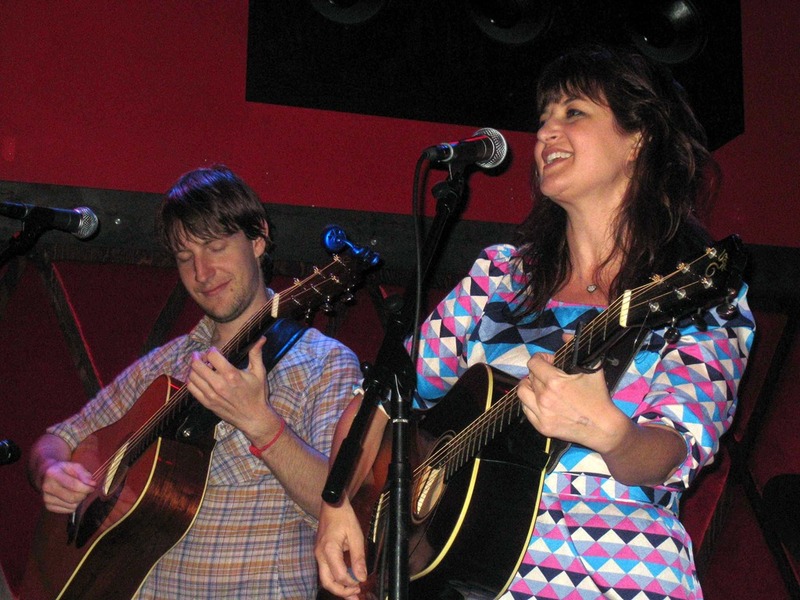 It turns out that I saw Ryan play acoustic guitar once, in July 2010, when he played a couple of songs supporting Christina Courtin at the Gulf Coast Benefit at City Winery. I had nice things to say about him that night as well.